Ofcom has unveiled a new tool which will tell you how good your provider of landline, broadband and mobile services compares to the rest on a customer service footing. It’s an subject which has been largely avoided by operators to date because, let’s face it, they are pretty bad at customer services compared to other verticals. But thanks to Ofcom, you can find out overall customer satisfaction, complaints per 100,000 subscribers, satisfaction with complaints handling and how long customers have to wait before speaking to someone in a call centre. “We’re determined to help bring about a service revolution in the telecoms sector, where consistency and excellence becomes the norm, and customers always come first,” said Sharon White, Ofcom CEO. 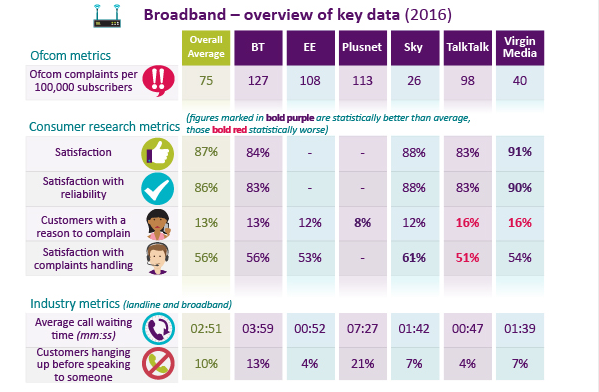 On the broadband side of things, BT topped the list with the most complaints, raking in 127 per 100,000 customers, whereas Sky was the top performer with only 27. 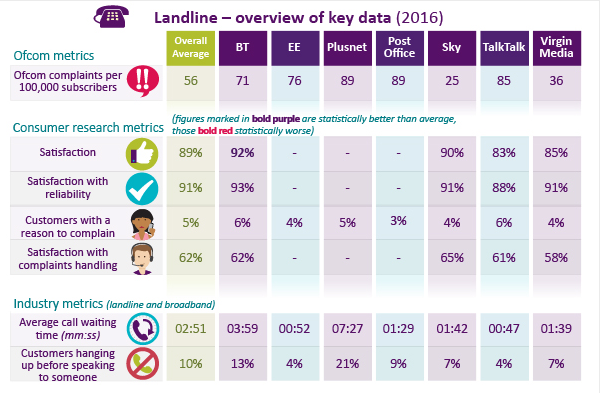 For landlines, Plusnet and the Post Office were the worst offenders with 89 complaints per 100,000 customers, though Sky did even better, only collecting 25. 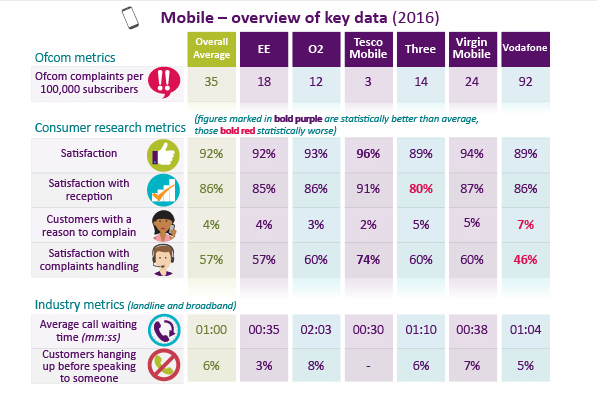 For mobile, Vodafone raked in a whopping 92 complaints per 100,000 customers, while no-one else registered more than 24, with Tesco the lowest at 3. In all the categories, the more established players were the worst offenders, whereas the market challengers were the best performers in terms of customer service. This should probably not be a massive surprise, though it is a slightly damning report. The UK is a conservative nation in more than one sense, and this can be seen by the continued reliance on more established names. Perhaps reports such as this will open up consumers to the merits of moving to challenger brands in the search of a good deal and solid customer service. Your correspondent leans on his own experiences in dealing with landline/broadband/mobile providers, and almost every time, I have been on hold for a substantially longer period of time. Yes, I am calling in the evening after work, but aren’t most people?